According to the Sun Life Cost of Dying 2015 Survey, one in seven people who have organised a funeral in the past four years said that the costs of the funeral caused them financial hardship. With an average shortfall of more than £2,000. By taking out a funeral plan with our chosen partner Golden Leaves, you can take responsibility for the costs of the inevitable and spare your loved ones from emotional and financial stress at the time of need. Another reason that people choose to take out a funeral plan is to make arrangements in advance for their funeral. Usually this is not to plan elaborate details but to ensure their loved ones are not burdened by an ever-growing list of choices. For example even setting out whether you wish to be buried or cremated can be a huge relief for loved ones. When you purchase a plan from us, we guarantee that the funeral directors fee will be met in full, when the time comes. We also fully understand that losing a loved one is a traumatic and difficult time. We help minimise the stress to your loved ones by providing funeral plans tailored to your individual needs. You can be confident that the cost of your funeral will be covered, and your plans carried out as requested. As one of the UK`s most recognised providers of funeral plans and offer a range of funeral plans that can be tailored to your individual tastes and budget. 61% of people were unsure where their loved one would have liked to have been buried. The Sun Life ‘Cost of Dying’ report 2015 found that 61 per cent of relatives had no idea which burial ground or cemetery their loved one would have wanted to be buried in. It is no surprise then that the same report indicated 59 per cent of us have made some sort of arrangements in advance to cover the costs of our passing. Funeral plans represent a way to take control of your funeral costs and wishes and spare your loved ones unnecessary stresses when the time comes. With a funeral plan from your local independent funeral director, you can take comfort that you and your loved ones are in safe hands. Having a funeral plan is the best possible opportunity to put your affairs in order, and protect those closest to you from the stress and expense of arranging your funeral. We understand that everyone will make diverse choices concerning the end of life service they wish for, and we acknowledge a variety in the ways people wish to fund these purchases too. These decisions are clearly dependent not only on one`s financial situation, but frequently based on personal choice, circumstance and lifestyle considerations. By selecting one of our funeral plans, you will be able to shield yourself from rising costs of funerals and take comfort in knowing that your funeral won`t be a burden to your family and friends at an upsetting and difficult time. Planning your own funeral in advance will also ensure that your preferences are respected and followed as closely as possible. 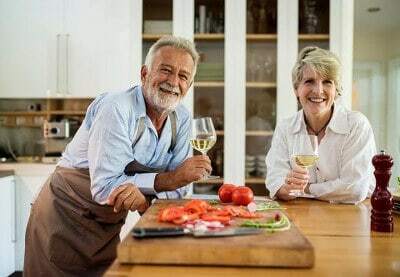 At Nene Legal we want to ensure ultimate confidence that your wishes and money are protected through the good name of our preferred partner Golden Leaves Funeral Plans, A company you can place your trust in now and when you need us. We fully understand that although we try and cover as much as we can on our website, there may be questions that we haven`t covered, if so feel free to call our trained staff on 01933 588 990. 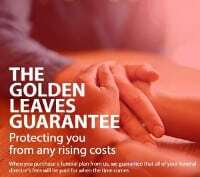 Nene Legal are an approved Golden Leaves Funeral Plan provider. We chose Golden Leaves because not only are they one of the largest independent funeral plan providers in the UK but since pre-paid funeral planning was introduced to the UK in 1984, Golden Leaves Ltd has been at the forefront of providers. They were founding members of The National Association for Pre-paid Funeral Plans and The Funeral Planning Authority (FPA) which monitors the marketing, financial and service provisions of the plan providers that it regulates. Golden Leaves Ltd. Offer Pre-Paid Funeral Plans which are Trust-based packaged, and insurance-based Fixed Monthly payment plans: both can help protect you from rising funeral costs. Most of us try not to think too much about our own funeral or indeed those of our loved ones. But the unavoidable truth is that death is very much a fact of life. 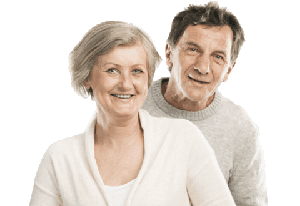 Making practical and financial arrangements in advance to protect relatives or friends from worry and financial hardship can be undoubtedly rewarding. 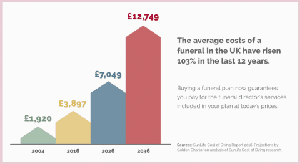 Funerals in the UK arranged in the “usual” way currently cost an average of £3,675. but this figure is expect to rise rapidly in coming years. In fact, by £2031, the average cost is expected to top the £10,000 mark. Nationally, the costs of funerals have risen by more than 90 per cent on average since 2004, significantly more than inflation. To the individual, this means that on top of the grief of losing a loved one, there is the financial worry of finding a significant amount of money to pay for a funeral. *Source: The Sun Life Cost of Dying Report 2015.